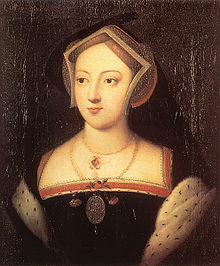 HomehistoryWas Mary Boleyn Really The Mistress Of King Francis I Of France? Eric Ives once famously commented that everything we know about Mary Boleyn “could be written on the back of a postcard with room to spare”. So, basically, we know nothing. Only a few random facts historians have been painstakingly trying, for centuries, to stitch together. One of these facts is Mary’s relationship with King Francis I of Francis. She was his mistress. Not his official mistress, but one of his many lovers. Or so all the history books say. But was that really true? Mmmm… When we start examining the evidence, we appallingly realise how flimsy it is. Let’s take a look at it, shall we? As it is obvious, Pio was no fan of the Boleyns. A papal nuncio at the French court, Pio was obviously against the religious reforms the Boleyns helped promoting, and Henry VIII’s break with Rome. All his prejudices and hatred towards the Boleyns are apparent in his words. Anne was “that woman”, an evil witch who faked a pregnancy. We know that’s not true. Anne was really pregnant, but sadly suffered a miscarriage. Mny sources, including Chapuys, another enemy of the Boleyns, said so. Mary became a whore. But if Pio got the facts wrong about Anne, could he have gotten them wrong about Mary too? Can we really trust that Francis confided his affair with Mary to the Bishop? Or was he just making things up to blacken the family’s reputation? Verdict: Pio was a Catholic Bishop, and therefore, an enemy of the Boleyns. His letter contains inaccuracies and false rumours about the family, so we can’t trust his word about Mary being “a grandissima ribalda”. There are two problems with this account. First of all, Rastall was a Catholic, and the nephew of Sir Thomas More. His uncle lost his head when he opposed Henry’s second marriage to Anne and refused to acknowledge the King’s superiority as the Head Of The Church Of England. He obviously had a huge grudge against Anne and her family. The second problem is that he’s not talking about Mary at all. The passage above refers to her sister, Anne Boleyn. “But Anne was never sent to France in disgrace!”, I hear you say. That’s precisely why many historians think Randall got the two Boleyn girls mixed up and assumed the passage is really about Mary. After all, if Mary was really “a grandissima ribalda”, then it is possible that she had slept with her father’s chaplain and was, as a result, sent to the French court. But as we’ve already seen, her reputation as such is based on very flimsy evidence. Verdict: William Rastall had a grudge against the Boleyns, and his account of Anne’s life is far from accurate. To assume that he simply got the name wrong, but the facts right, is a stretch. Needless to say at this point, Sanders was a Catholic too, and was therefore more interested in further ruining the Boleyn’s reputation than in getting his facts straight. He wrote the book in exile during the reign of Anne Boleyn’s daughter, Elizabeth I. In it, he also mentions that Anne had six fingers, a projecting tooth, and a wen under her chin. If all that had been true, I doubt Henry would have chosen her as his Queen and mother of his children! His passage too refers to Anne Boleyn, not her sister Mary, and was obviously taken from Randall’s book. If we can’t trust Randall, why should we trust Sanders? Verdict: Nicholas Sander is known to have made up and repeat vicious rumours about Anne and her family, so everything he said should be taken with a huge pinch of salt. That’s something that we’ll never know. Although there is absolutely no proof that Mary had an affair, or even a one-night stand, with King Francis I of France, it is also impossible to say that she didn’t. None of us was there, after all. But that doesn’t mean that we should perpetuate a myth that is based on no substantial proof. It’s unfair to Mary and does history a disservice. What do you think? Was Mary really the mistress of Francis I?